Have you ever been on a walk and observed an interesting plant you couldn't identify? Encountered an unusual insect trapped in your home? Have you noticed you used to see certain species in nature that you don't now? Or have you thought it might be neat to compile a species list for a special place, like a favorite park or your own backyard? There's an app (and website) for all that! In response, the artificial intelligence in the app suggests what the species might be based on visual similarity and whether the species has ever been observed nearby. Once the observer has made an ID, the observation is available on the web for the world to see and verify or dispute via crowdsourcing. The individuals that verify observations are often experts in their particular field who leave encouraging messages or identification tips about the observation to help the original observer. Members and organizations can set up projects and download data within defined taxa or locations to follow presence and absence, abundance, seasonality and change over time. Verified observations are sent to the Global Biodiversity Information Facility, an international network and research infrastructure funded by the world's governments and aimed at providing anyone, anywhere, open access to data about all types of life on Earth. Valuable open-source data is available to aid scientific research, government and conservation organizations, and the interested public. Nearly instant gratification for species ID combined with the ability of members to contribute to a greater good whenever they venture outdoors are huge motivators for much of the existing iNaturalist community which currently exceeds one million users and 14 million observations. In a world where the term “nature deficit disorder,” coined by Richard Louv, author of Last Child in the Woods, is widely understood to refer to the modern maladies that occur as a broken bond between children and nature, we need to provide culturally and contextually relevant outdoor exploration time for kids. Many children love technology, and in response iNaturalist recently developed the Seek app, which differs from iNaturalist in its safety features where no user data or location information is gathered or stored. Kids make observations in the same way, but they can collect badges and learn facts about the nearby biota. 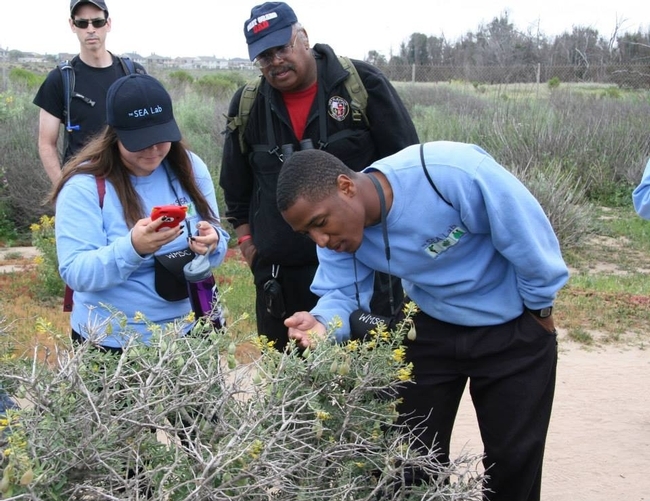 The UC Agriculture and Natural Resources California Naturalist Program has required participants to join iNaturalist and log at least one observation during their certification coursework since the inception of the program. To understand and protect California's unique natural resources, we need all the information we can gather across many different disciplines. Community or citizen science is one crowd-sourced approach to gathering that information, and iNaturalist is one useful tool in a broad toolkit. While some individuals don't feel that technology has a place in the observation of natural history, through the use of iNaturalist, many others have had the opportunity to deepen their knowledge of their local area, create online journal pages, keep species lists, contribute to specific iNaturalist observation projects of their favorite organizations, and participate in BioBlitzes with other community scientists across the state. Our partner organizations benefit from the concentrated focus on their land, the discovery of new species, and the long-term data sets that accrue. 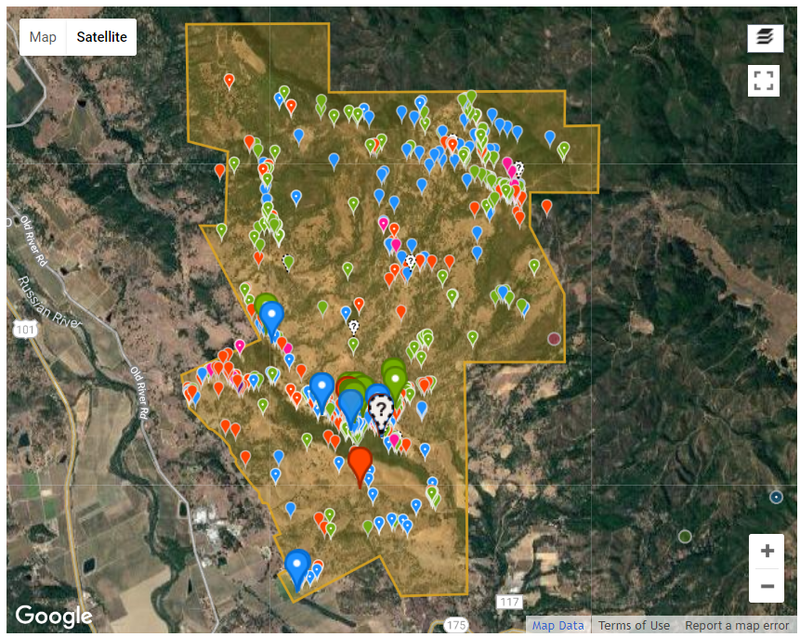 The UCANR Hopland Research and Extension Center's 5,500-acre iNaturalist project, initiated in 2013, boasts 1,075 observations of 498 species. This review of iNaturalist isn't an ad, but a testament to the power of the iNaturalist community to assist with conservation efforts globally. Used by an individual, it can be a simple social tool to learn more about nature and find others that also think certain species and places are special. Used by an organization, iNaturalist can assist with data collection, training, and naturalist recruitment. Globally, iNaturalist is a powerful way to connect humans more deeply to nature and generate scientifically valuable biodiversity data from personal observations. The UC ANR Hopland Research and Extension Center's 5,500 acre iNaturalist project boasts 1,075 observations of of 498 species.